Rooted in the Appalachian reaches of North Carolina, rockers A Course Of Action have been steadily drawing attention to their contemporary sound through tireless performing and a strong DIY work ethic. 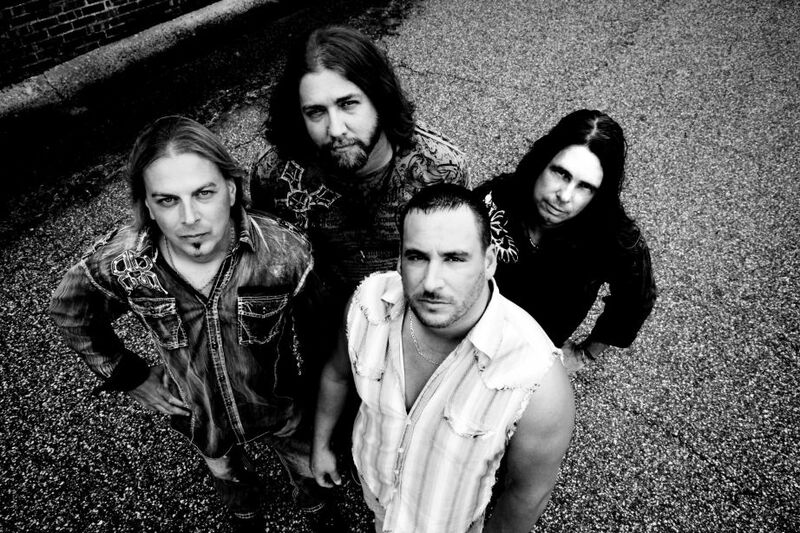 After more than a decade, during most of which the band was known as Hybrid, A Course Of Action has put forth their debut album Dark Before The Dawn. Drawing on hard rock notables such as Tool, Papa Roach, and Sevendust for inspiration, A Course Of Action's sound integrates well with the style of rock preferred by mainstream listeners. Dominating Dark Before The Dawn are the pinched, staccato riffs of Jonathan Byrd and John Culberson. The first song on the album, "Tell Me Why", establishes the band's direction with a sputtering pace that is complimented by nicely melodic choruses. Most songs follow this pattern, with "See You Again" offering a bit of a Papa Roach swirl and "Until It's Mine" possessing some Soundgarden qualities, but there's a rougher edge to Dark Before The Dawn that helps distinguish the band from their forerunners. The guitar tone is more jagged than the polished radio darlings which, to me, lends credibility to the band's desire to add a bit of grit to what currently passes as the rock scene. An interesting bit of trivia about A Course Of Action centers on Byrd. Back in the early 1990s, he was a member of the Southern rock outfit Copperhead, whose song "Long Way From Home" was featured in the Mickey Rourke movie Harley-Davidson & The Marlboro Man. Those were some crazy times, kids. Anyway, things really begin to come together for the band on "Never There". The grinding, low-end riffs are more consistent here and keep the song's momentum at an even pace. Byrd and Culberson punctuate the track with several nicely placed leads and a very tasteful solo. "One Step From Down" also maintains a pleasing tempo with melodic, Tool-like riffs. Culberson provides an impassioned vocal performance here as well, adding to the genuine appeal of the song. Overall Culberson has a smokey, mid-range rock 'n' roll voice well-suited to A Course Of Action's musical direction. Never once does he sound strained or hollow. One other track that stands out on Dark Before The Dawn, despite the halting riff patterns, is "Shadow". The band mixes things up a bit here by bringing in some synth effects which, along with a more discernible bass presence, adds a touch of menace to the track which aligns it a bit more with the dark tone of the album cover. 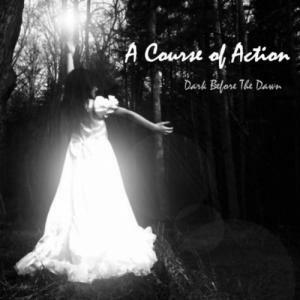 A Course Of Action's formula is not complicated and does not push any limits, but it does result in an enjoyable listen that modern rock fans will want to experience. I wouldn't be surprised at all to hear songs from Dark Before The Dawn on your favorite Clear Channel station alongside Alter Bridge and Chevelle. Thank you so much! This is a great review, and for those who want to pick it up, you can get it physically and digitally from many different site. I promise, you won't be disappointed! For those who join our Reverbnation email list, you get a free download! You're absolutely right Neil. No disrespect to Wes and J.T. was intended.